To start, I created an A2 card base from Smooth White cardstock. I trimmed Sno Cone cardstock slightly smaller, and mounted it to the front with foam tape. 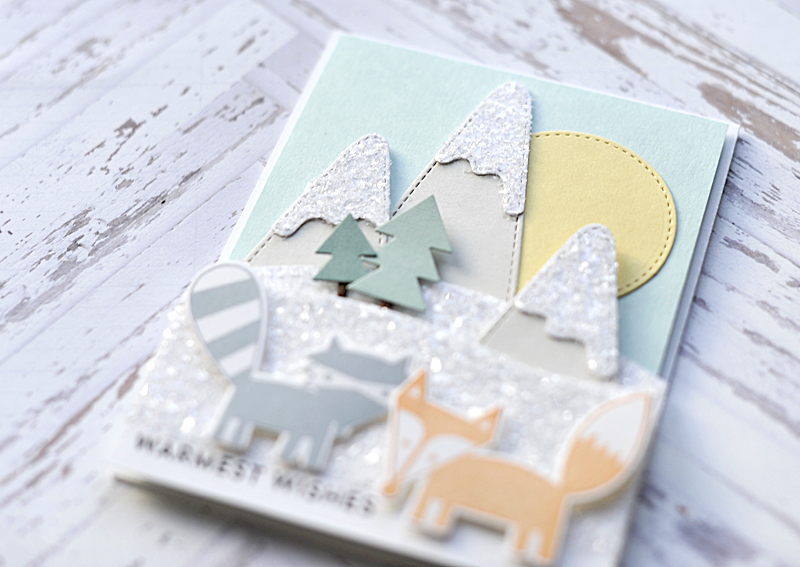 Then I diecut all of the pieces I needed to create my wintry scene from their corresponding cardstock colors. 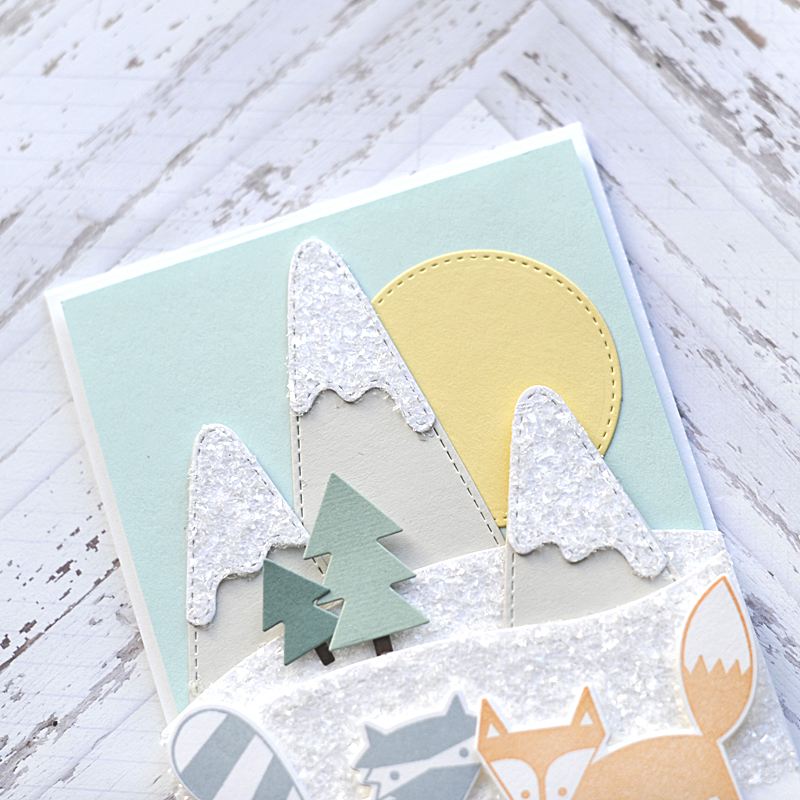 I covered all the pieces that were cut from Smooth White cardstock in Diamond Dust glitter. 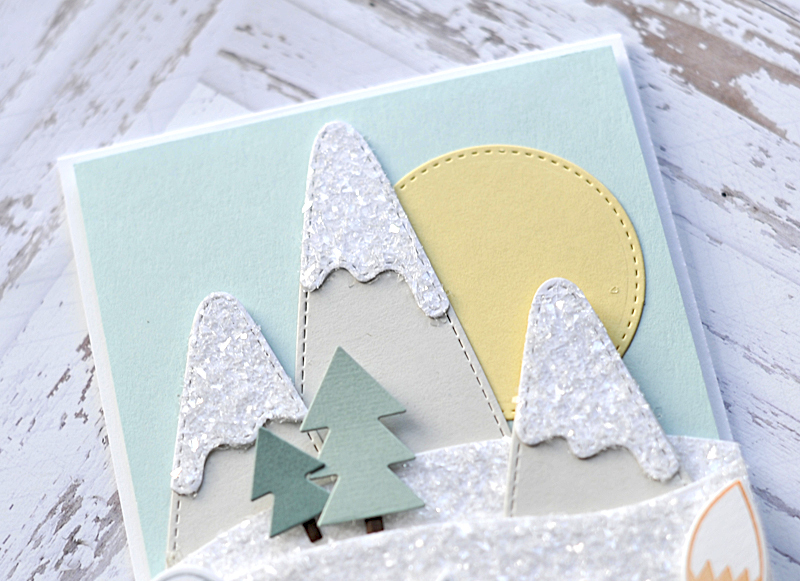 This included the snow caps on the mountains & the two snowy hills. It really made them look like they are glittering with snow! I did mask off about a half inch from the snowy hill that would be the top layer, and then stamped the “warmest wishes” sentiment to it in black ink. Once this was done, I layered the scene together to the card base. I started by adding the sun first, then the two snow-capped mountains that are to the left of the sun. Then I layered the 2 snowy hills to the front, tucking the smaller mountain on the right between them. To finish creating the scene, I added two cute little pine trees to it. The final step was stamping the cute critters from the Friendly Forest stamp set to Smooth White cardstock, then diecutting them. 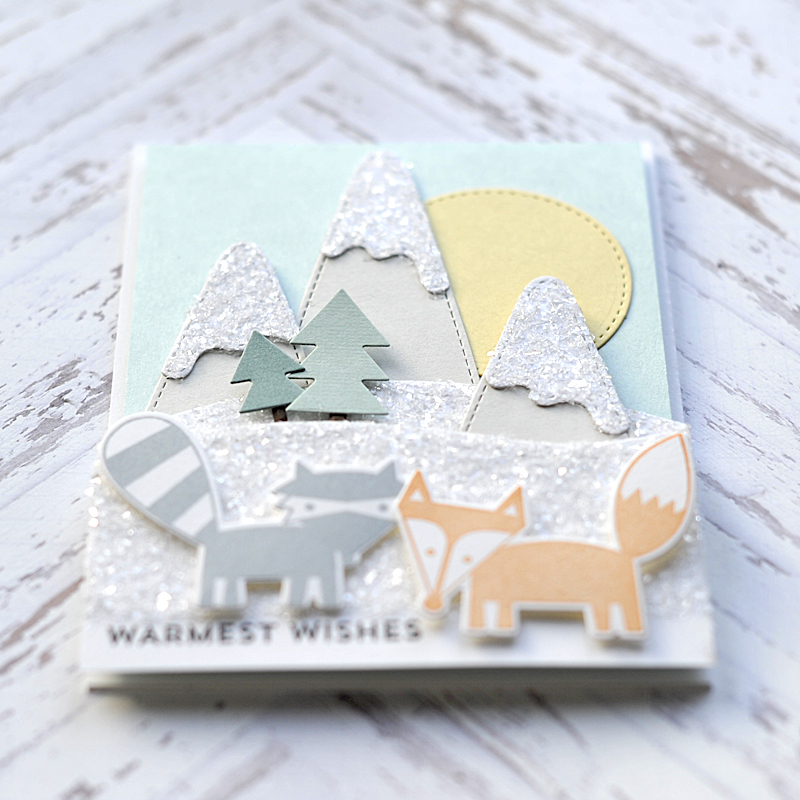 I then layered them cozily around the sentiment to finish the card! Thank you for coming to hang out with me today, and check out what I created! I really appreciate it so much! 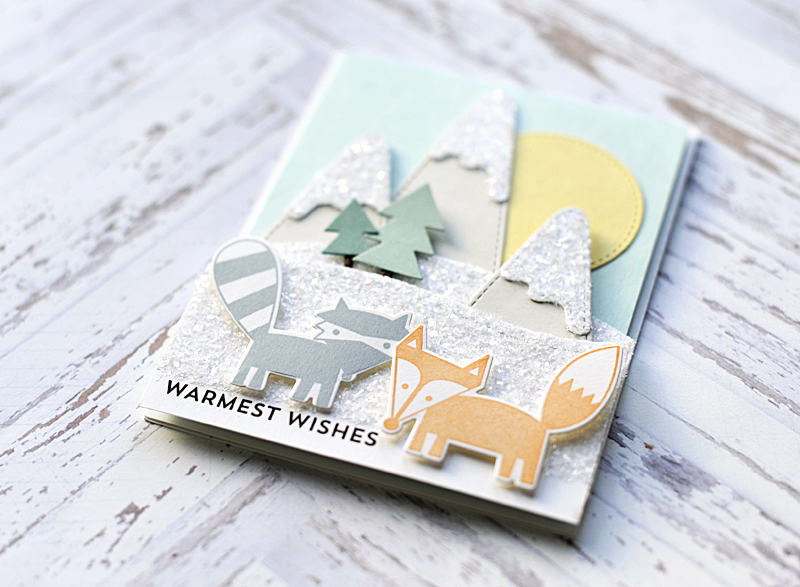 I will be back after the new year with another fun guest post for MFT Stamps! Have a wonderful rest of your Friday! Lea, how wonderful to see your post appear in my Feedly! 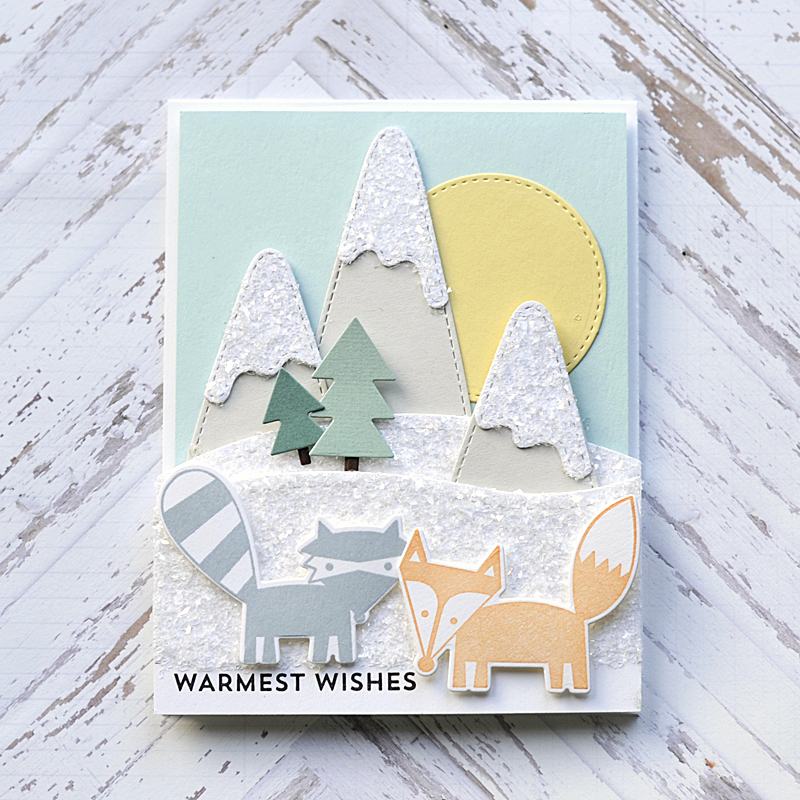 Congratulations on your GD role with MFT; you've started off with a wintry scene that is sheer delight! We live near the Canadian Rocky Mountains, so these woodland critters are quite familiar to us, as are the snow-capped mountains. Love this...and I'll definitely be checking out the products you've used; they're quite irresistible! Hi Lea! 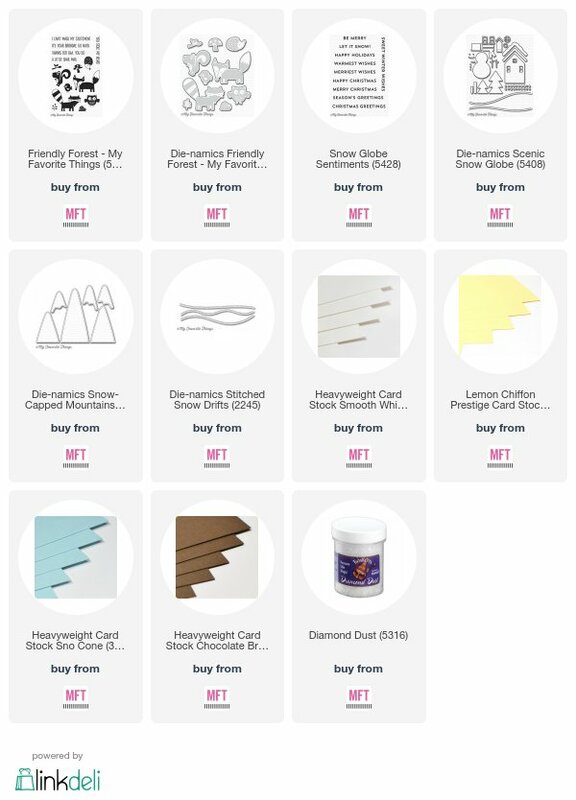 What a darling scene you've created - I'm imagining Layton's nursery, in all of these wonderful, calm, sweet colors! I'm seeing this in a little white shadow-box frame on his wall! Yay, you - yay, US to have you guesting at MFT! You have a great talent and a tons of creativity! Thanks for sharing! 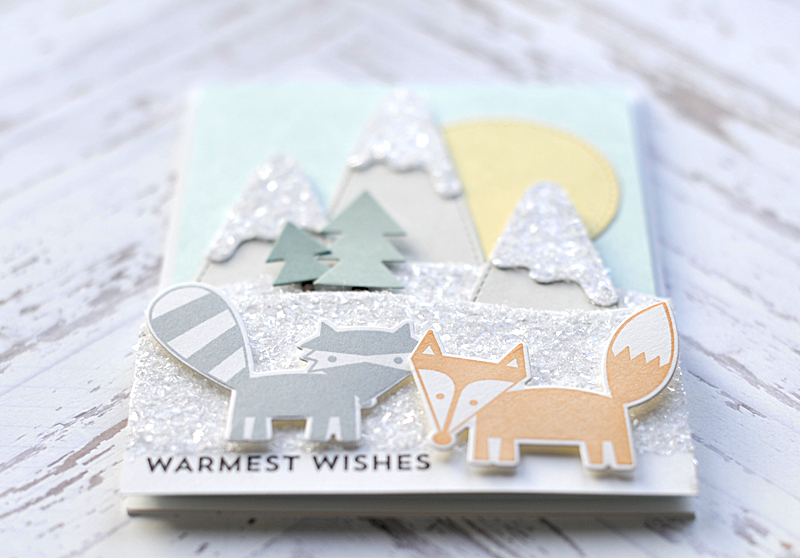 Wishing you a wonderful and crafty 2018! This is really sweet! I'm looking forward to your other posts!